Posted on October 24, 2006 by Alicia Bay Laurel	in Blog. 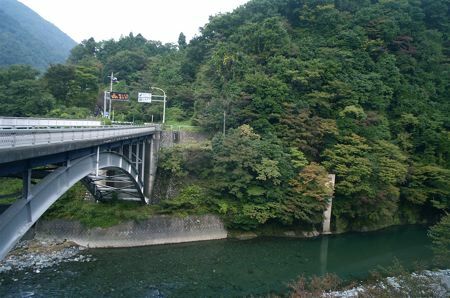 On our way driving to the mountain camp at Doshi, Koki and I crossed a river bridge and pulled into a family-owned and -run cafe beside the river for our lunch. 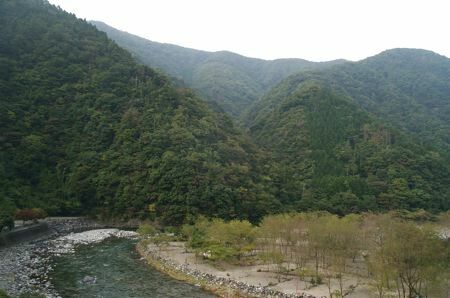 Japan’s abundant rain makes this area thickly forested with many rivers. 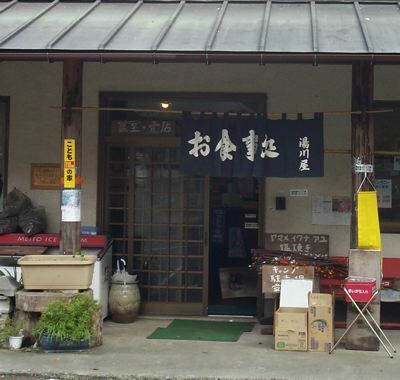 …where dried cherry tomatoes on the vine, fresh chili peppers, rhubarb and daikon radish were offered for sale. 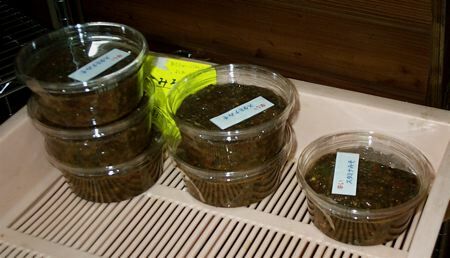 The owner of the cafe also made her own spicy ginger miso and offered this for sale. She offered a sample to me and to Koki, a miso-maker himself, who pronounced it delicious, so we bought a container of it to take home. 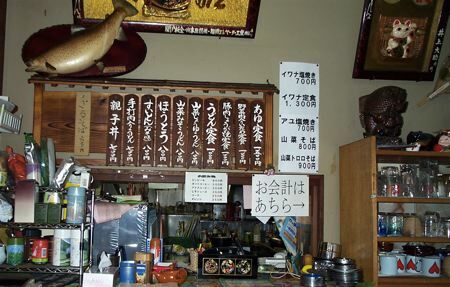 The menu above the window from dining room to kitchen. The owner and her husband live in a room just off the dining room; their daughter helps in the kitchen. Friends drop in to chat. And in the background, always, the sound of the river flowing. 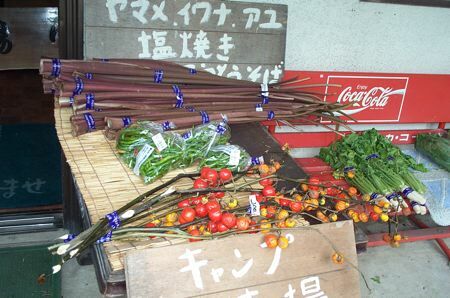 Nearly everything was locally grown or gathered, with homemade miso and pickles! 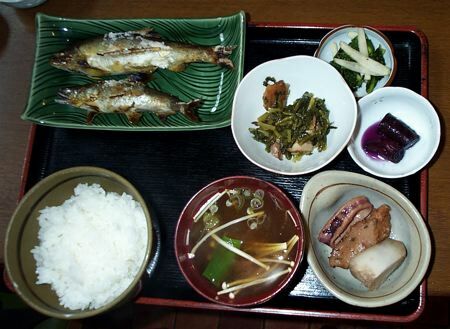 And how beautifully displayed: two sauteed river fish, white rice, two small pieces of purple sweet potato, miso soup with tiny mushrooms, scallions and leek, a small dish with one slice of octopus, a slice of fish cake, and a slice of mountain potato, tsukemono (pickled vegetables), and a small dish of cooked wild forest greens. Later the owner brought us each a small dish of purple grapes, which, I then learned, are always eaten skinned in Japan.